First of all, you need to register your CWL account with us before you can use the HP LaserJet M630 printer. Please email us at helpdesk@botany.ubc.ca to register or find out your account status. We have implemented the PaperCut system for print/copy management. 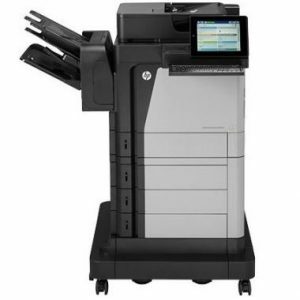 To gain access to these machines for copy and scan-to-email jobs, please follow the HP Copy/Scan Quick Start Guide for details. For detailed instructions on copying and on sending scanned documents to email, please refer to the relevant sections in the HP LaserJet M630 User Guide. To send print jobs to the HP LaserJet M630 over the network, please refer to the guides listed below. Click the link corresponding to the operating system installed on your computer. Note: the installation procedure can be challenging for some users. Please contact Botany IT at helpdesk@botany.ubc.ca if you need help.